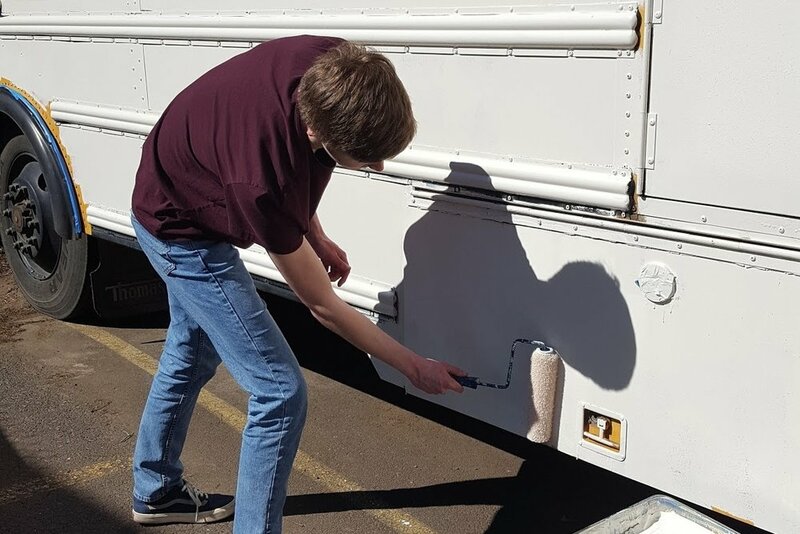 The STEM Bus Project is lead by Students at Hood River Valley High School. Team A05 Annex works to help these students with the project. The STEM Bus Project began when an old school bus was donated to the Hood River Valley High School Robotics Department. 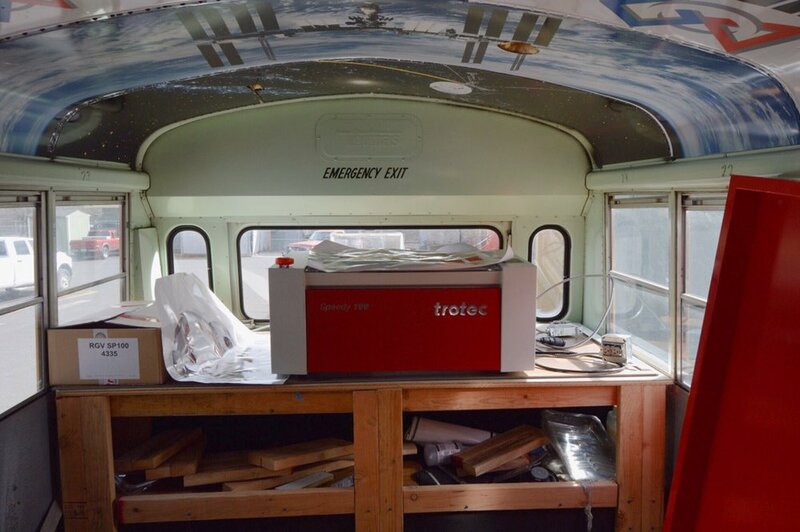 The idea was reached to transform the bus into a mobile fab lab that could be driven around to local elementary schools to spread the concepts of STEM to local youth in the Columbia Gorge. So far, the school district has provided a quality school bus ready to be transformed into a high-tech maker space. We obtained a $50k grant from the Mills-David Foundation (out of Eugene) that we’re using to renovate the bus and buy high tech equipment. The seats have been removed and new flooring has been installed. The cabinets and counter tops were ordered from Champion Tool Storage in Odell (thanks Garin Buckles for the great deal), and are installed. The laser and vinyl cutters have been ordered. My students have been designing the graphics for the vinyl wrap and are excited to use the new vinyl printer to bring their designs to life. As you know this technology is expensive and cost prohibitive for every school to have… thus the mobile classroom. The purpose of the bus will be to engage students in integrated technology and design at an early age with hands on projects in science, engineering, math and the arts. The first project will likely be vinyl stickers and laser cut dinosaurs or animals. More complex projects like Ukuleles, robotics, and 3D printed race cars will follow. A secondary use of the bus will be to provide camps in the summer and afterschool activities for kids across the Gorge - and fundraising at events such as the county fair and harvest fest.